So, lest you get the impression that I just spend money willy nilly, (I don’t!) I thought it would be helpful to do a post about some of the tips and tricks I have used over the years to be able to justify getting nicer things sometimes! 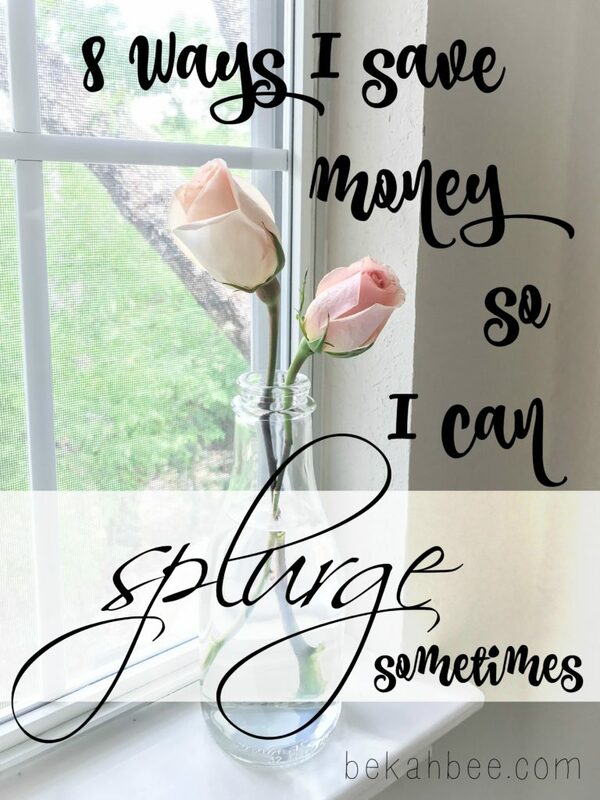 If you try to save money in as many areas as possible, then it is easier to spring for some of those splurge items that truly feel worth it to you! First off, I am someone who definitely tries to be as frugal as possible. I really try to stretch a dollar as far as I can, because then you get the most for your money! Being a good steward of our resources is really important to me! I do feel like I have somewhat “expensive taste”, but I like to think that it means I just have good taste since the things I like are nice, and sometimes nice comes at a price! 😉 But seriously, something I’ve learned recently is when to splurge and when to save. You don’t have to get the nicest or most expensive things in every category, but I have found that it does make more sense, in the long run, to invest in quality for certain things that are made very well, and will stand the test of time. Some things that come to mind for me, are good boots or shoes and a nice purse. If you take care of them, those types of things will still be nice for years to come, and you won’t have to repurchase them all the time when they wear out. I never used to be a designer purse kinda girl, but the last 2 bags I purchased were more expensive designer ones, and I saw a big difference in quality over my $40 purse I had before that which fell apart completely in less than a year! It is also very important to me to get the highest quality of food and personal products I can get within our budget since I truly believe that investing in your health will pay off in the long run with less illness and doctor bills. My husband and I have already seen this paying off in the way that we feel, and how rarely we get sick anymore. Everyone seems to have their favorite “splurge” areas, and for me (besides food) that is green beauty skin care and makeup. Yes, it is WAY more expensive than the stuff I used to grab at the drugstore, but I am seeing a difference in how clear my face is and so it seems worth it to me. It is also really nice to be able to support smaller green companies whose values align with mine! 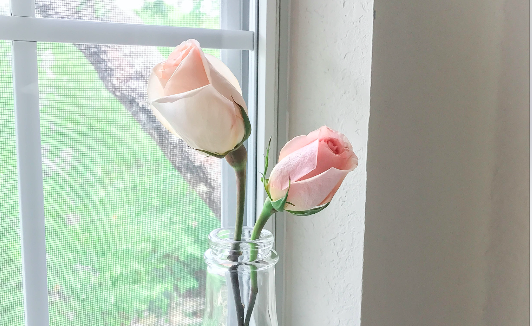 Here are some of the ways I save money on a regular basis so that when those “must-have” or splurge items come up, I can justify getting them! Couponing: I used to be an avid couponer. Back when the show Extreme Couponing was on, I caught the bug and I learned how to get things for really cheap or sometimes even free with coupons. I’m not gonna lie, it was so much fun!!! I would still be doing it to this day if it weren’t for the fact that I started learning what was in a lot of these conventional household and personal care products. How many harmful chemicals they contained and how they affect our bodies and health. Man, that was a bummer! But, I am really glad to be aware of that now and have accepted the fact that it will be more expensive to live in a more holistic way. So, even though I no longer coupon on a lot of the things I used to get, I still have the skills it taught me in how to be a savvy shopper, get the most for my money, and use store discounts to their full advantage! Things I still get deals on are razors, paper products, fragrance-free Dove soap and misc other things. I love using the Target Cartwheel app too, I usually try to check if there are any deals on what I am getting before I check out. Rebate Websites: I do a lot of shopping online these days, and I try to use cashback websites as much as possible when I do. It is seriously so easy. Just go to their sites, search for the website you are shopping at and see if they offer cash back, and then click their link through to the site! SO easy and free money! I joined Shopathome & Ebates back in 2013 and so far it says I have been paid $190.88! And that is for taking like 2 extra seconds when I shop for things I am getting anyways, so no brainer for sure. Shopkick: These days I am pretty picky about how many hoops I am willing to jump through just to save a little bit of money, (since it takes valuable time!) so I don’t really use Ibotta or small coupons anymore, but I still do use Shopkick most of the time when I am running into a store. I don’t stress too much about it, but when I remember and am running into Target or wherever, I usually just open the app and get the kicks for walking in. I don’t bother with the scanning items. It takes a long time to earn just a $5 gift card, but since it’s pretty easy to do I like to do it since it’s free money. 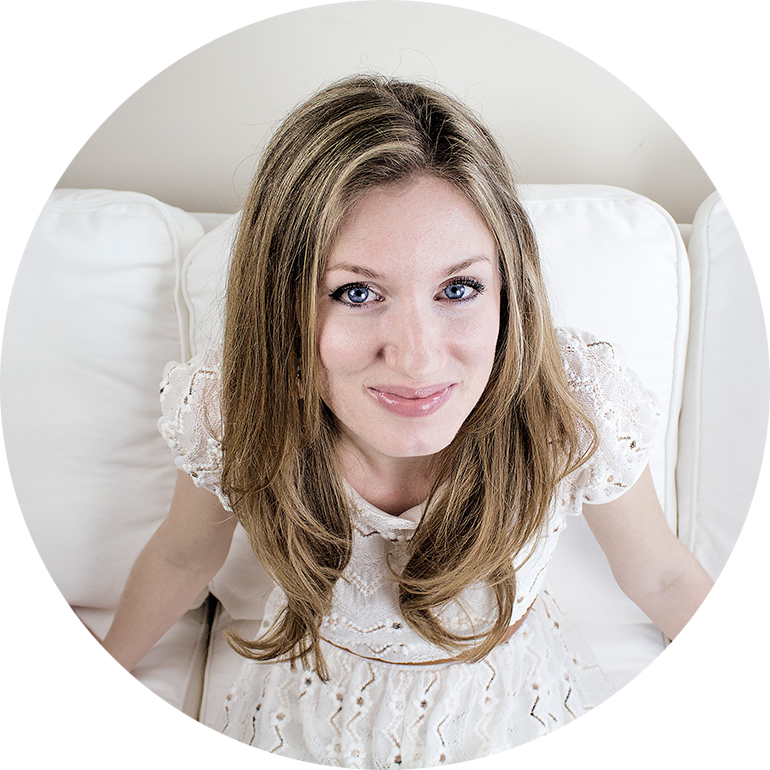 Saving things in carts: Because I shop online a lot, I have learned a funny little tip. If you save your items in an online store shopping cart for a while, sometimes they will email you a promo code to apply to it if you finish your order. Which is awesome, since I like to save things in carts anyways until I make sure I really want to make the purchase! So, again, savings for something I was going to do anyway! Shopping Black Friday Sales: The last couple years the hubs and I have saved up a chunk of money to give us each some “fun money” around the holidays, and the Black Friday sales. Maybe it’s funny that we also buy ourselves “gifts” during the season where people normally just get gifts for others but believe me, the deals are worth it! And I won’t lie, it is fun to shop for ourselves as well as the people on our gift list! 😉 It’s actually pretty rare that either of us buys something full price since we are both pretty set on finding great deals. And during the holiday sales, we usually stock up on a bunch of things to carry us through the rest of the year. Last year, we bought my Tory Burch purse (which was my Christmas gift!) for 30% off, which is the biggest sale they offer all year I think. And I got a bunch of my green beauty items on sale, including a completely free item from May Lindstrom! (One of my favorite green beauty brands, I plan to do a separate post about it) So, it really pays off to buy during the sales! Price Matching: Gone are the days when you need to bring in all your local printed store ads to be able to price match items in the store. There are lots of stores now who will price match to Amazon, local competitors, and their own online prices if you can just pull it up on your phone to show them. (Btw, why the heck are their online prices different than their in store ones? I find that so weird!) But anyways, sometimes I am shocked by how much cheaper we can get what we are buying if I just take like 2 minutes to double check if there is a cheaper price somewhere. We got something at Guitar Center not too long ago that was like $20-30 cheaper on their website than the ticketed store price. And they matched it no problem! It’s kind of crazy how taking a minute and showing a checker your phone will literally keep more money in your wallet, which would have been totally wasted! Crazy right? So there you have it! Just a few of the tips and tricks I have learned over the years to save money on the things I buy every day so I can splurge without guilt for the things that are really worth it to me! Do you have any awesome money saving tips that you don’t mind sharing? I’d love to hear! This entry was posted in Thoughts on 08/17/2017 by bekah.